If you’re a British expat in Spain then a VPN is practically an essential tool if you want to keep up to date with the world of UK entertainment. Accessing TV shows from BBC iPlayer, Sky Go, ITV Player, BT Sport and a whole host of other UK streaming services is one of the biggest reasons why most expats in Spain want to use a VPN service but there is a whole host of other good reasons too. In this guide I’ve been testing a range of VPN services to find you the very best and save you time and money in your hunt for the best VPN service. Finding a good VPN for Spain can be time consuming process but I’ve done the hard work for you so you can just select one of the below providers and be assured they’re the very best for use in Spain as an expat. There are a few areas you need to consider when signing up to a VPN service for use in Spain as an expat and below I’ve quickly detailed the most critical. Having a UK “server” is essential if you want to access content from the UK. A UK server is your connection point and allows you to pretend you’re in the UK even though in reality you’re in Spain. You need a UK server to be able to watch UK TV and access other websites and services that are restricted to use from within the UK such as the National Lottery etc. Without the VPN service having a UK server you won’t be able to access any UK content, remember – it’s essential! Even though many VPN providers offer UK “servers” they don’t all necessarily work with UK services. In recent years services like BBC iPlayer have attempted to block users who make use of VPN services. Some VPN services remain blocked so it’s important to know that the VPN service you’re about to pay for works with the services that you want to use. The one’s we’ve selected below all work with the most popular services. Equally as important as the other features the VPN service you use should be fast. Streaming video from the UK to Spain requires fast speeds and without good speed you’ll be plagued with buffering issues which will ruin your enjoyment of viewing. If you’re not interested in TV services then speed is still critical because any downloading or websites you access could display slowly if you pick a bad VPN service. No matter which VPN service you end up selecting below they’ll all be suitable for use as an expat in Spain, so just pick one and sign-up, you really can’t go wrong! IPVanish is without a doubt the fastest and most reliable VPN service I’ve used and is definitely the best VPN for expats in Spain. They offer a completely no-log VPN service and with top encryption across their network it means what you do while connected remains private. This is great to stop pesky hackers and snoopers but also stops governments from spying on what you do online. If you want to watch British entertainment such as BBC iPlayer, Sky Go, ITV Player and more then IPVanish works well with all the most popular UK streaming service and even some of the lesser known ones too! With 60 countries around the world available to connect to it’s also possible to watch content from other countries too such as the US, Australia, Canada and more. There are two server locations in Spain itself in Madrid and Valencia so if you want to protect your privacy with the best possible speeds then these have you covered. The software is easy to use and is available for Windows and Mac with apps available for mobile devices running both Android and iOS. If you’ve tested VPN services in the past and been a little disappointed then ExpressVPN is a great place to start. They offer a 30-day money back guarantee allowing you to test the service for a range of different reasons and if you’re not happy then you can get a refund. With one of the biggest server selections of any VPN company the 94 countries gives you a lot of scope as an expat in Spain to access all kinds of services from all over the world. Servers are available in Spain itself if you need a local connection and will give you the best possible speeds while protecting your privacy. All major devices are supported from Windows and Mac to Android and iOS and even Linux. So no matter what computer, tablet or phone you’ve got with you in Spain you’ll be able to use the VPN service. There’s no limit on how much bandwidth you can transfer or how many times you can switch servers and with this kind of unlimited usage it means you can connect to the VPN service and forget about it. It’s one of the many reasons I selected them for my best VPN for expats in Spain guide. VyprVPN is a beginner’s dream. The software and apps are some of the best I’ve seen from a VPN service and it’s the main reason why they’ve made my Best VPN for Expats in Spain guide this year. If you’re new to VPN use then you’ll appreciate the simple layout of their clients. Simply pick a server, hit connect and you can forget the VPN service is even running. They’re one of the easiest to use that I’ve tested. One of the best features is the 3-day trial they offer. 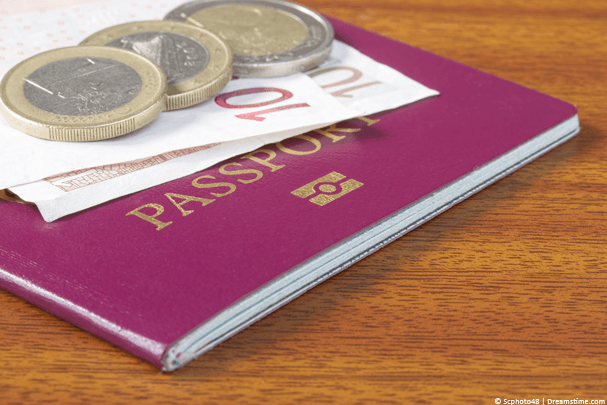 You’ll need to enter your payment details first but won’t be charged anything until the 3 days has passed. If you don’t wish to keep the service then you can just cancel and won’t have to pay anything. Servers are also available in Madrid, Spain so for all your location connection needs you’re well catered for. 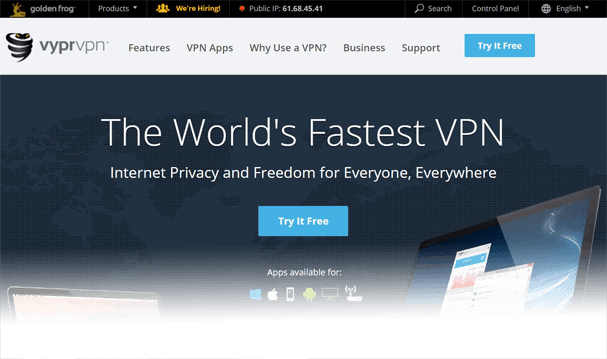 The prices of the VyprVPN were recently restructured and they’re now cheaper than ever and offer more features than previous so it’s definitely a good time to take a look at their service. If you’re looking for a cheap VPN service that offers good quality as an expat in Spain then StrongVPN make a good contender. They’re one of the cheapest VPN services available. However, costing less also means you get access to a lesser selection of servers around the world so you need to consider your usage. If you’re a British expat in Spain then their UK servers will be ideal to stream blocked TV content and access other British websites that are blocked outside the UK. It’s even suitable if you’re from the US, Canada, Australia and a few other countries but with only 23 countries in total you should check if your home country is covered before you sign up to ensure you can access content from home. Servers are available in Madrid, Spain and offer Shared IP Addresses which are extra secure at protecting your privacy. If you’re looking for a quality service at an affordable price then NordVPN ticks the box. 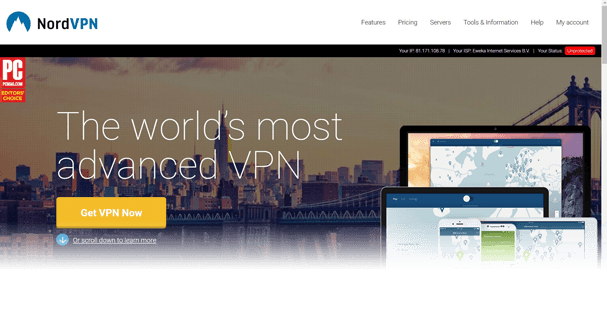 Our reviewer loved NordVPN and is one of the reasons they’ve made my Best VPN for expats in Spain 2017 guide. The service offers good speeds which is especially good for streaming but also for other tasks like downloading or even simply just visiting websites. A range of software and apps are available for all systems that have recently been redesigned and make getting connected easy and quick. While they don’t offer as many server locations as either IPVanish or ExpressVPN they do have a very reasonable 58 available which will cover most countries you’re likely to be from as an expat in Spain. Spain is covered with 7 servers in the country so for all your domestic needs such as protecting your privacy at home, when using public Wi-Fi or whatever else, NordVPN has you covered.